One of Auguste Escoffier's five French “mother” sauces, Hollandaise sauce can be tricky to make. My fool-proof version is made with a hand blender and includes a stabilizer to ensure it doesn't break. 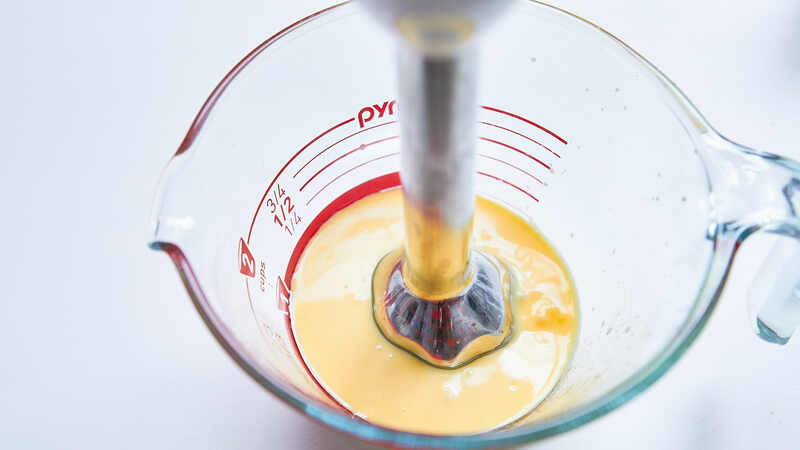 Hollandaise sauce is a magical emulsion that breaks the rule that oil and water don’t mix. This is made possible by the fact that both butter and egg yolks contain emulsifiers. 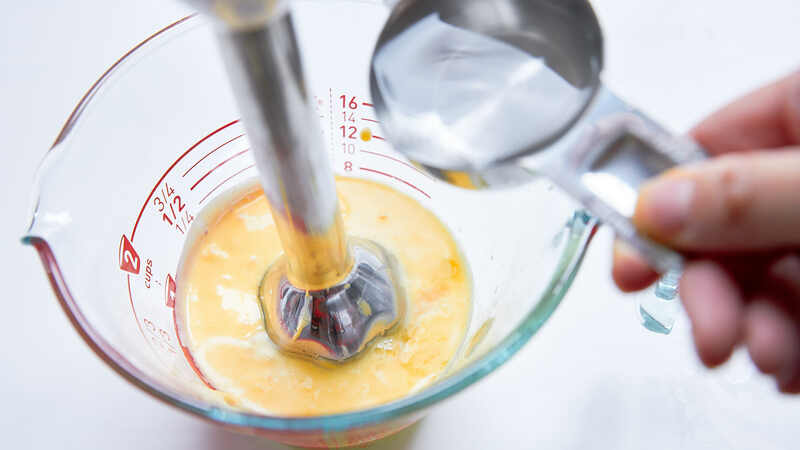 Emulsifiers such as milk proteins(butter) and lecithin (egg yolks) are molecules where one end is attracted to oil, and the other end is drawn to water. They’re like a mutual friend that bridges the gap between two enemies allowing them to intermingle. Aside from it’s most common use as a sauce for Eggs Benedict, hollandaise is also excellent on vegetables such as asparagus, broccoli, or carrots. Oh, and potatoes! I love scooping refrigerated hollandaise straight into a baked potato or using it as a condiment for french fries. Adding some chopped herbs at the end makes for an herbed hollandaise that’s perfect for saucing poached seafood such as salmon, shrimp, or lobster. Because of the precarious nature of emulsions, I like to add a stabilizer like xantham gum to help the emulsion hold. The resulting hollandaise sauce is so stable that it can be stored in the fridge and then gently reheated (in a bowl placed over hot water) without having to worry about the sauce breaking (oil and water separating). Just be careful not to overheat it, or the egg will cook, and it will give the sauce a lumpy texture. If this happens, you may be able to rescue it by whisking in a bit of warm water until it’s smooth again. As for seasonings, I’ve kept this recipe very basic, but I like to add a bit of fresh Meyer lemon zest at the end. You can also stir in other herbs and spices like tarragon, marjoram, or sumac for a flavored Hollandaise. Put the butter in a microwave-safe bowl and microwave on low power (~500 watts) until the butter is mostly, but not completely melted. Whatever you do, do not let it boil. 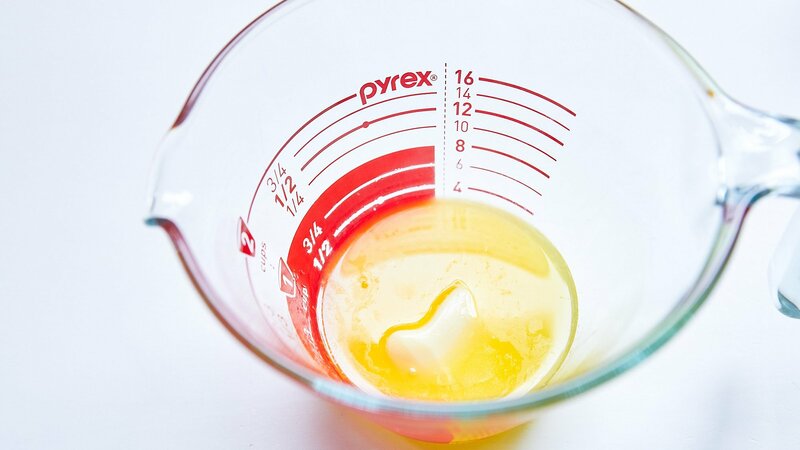 Add the egg yolks and xantham gum to the butter and use a hand blender or whisk to emulsify the two together. Make sure the mixture is fully combined, and there is no butter separated out from the mixture. 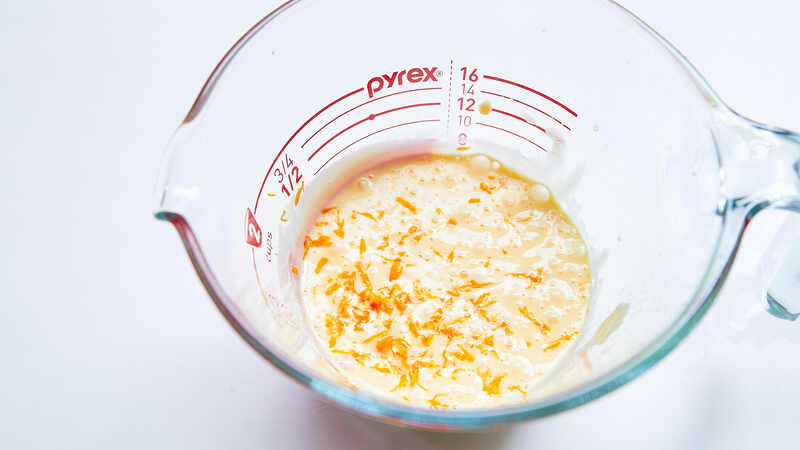 Slowly pour the boiling water into the egg yolk mixture while whisking or blending. Add the lemon juice and salt and whisk to combine. Adjust seasoning to taste. I like adding a bit of lemon zest or some chopped herbs here. 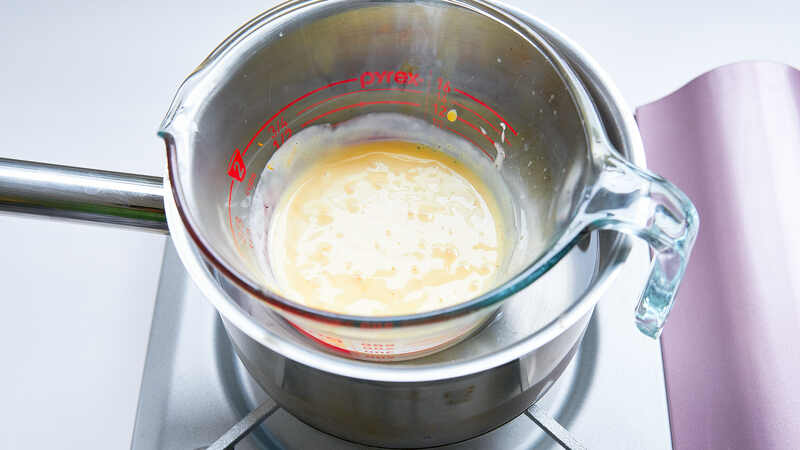 Keep the hollandaise sauce warm in a double boiler until you are ready to use it. You can get rid of the air bubbles in the sauce by smacking the bottom of the container on the palm of your hand. 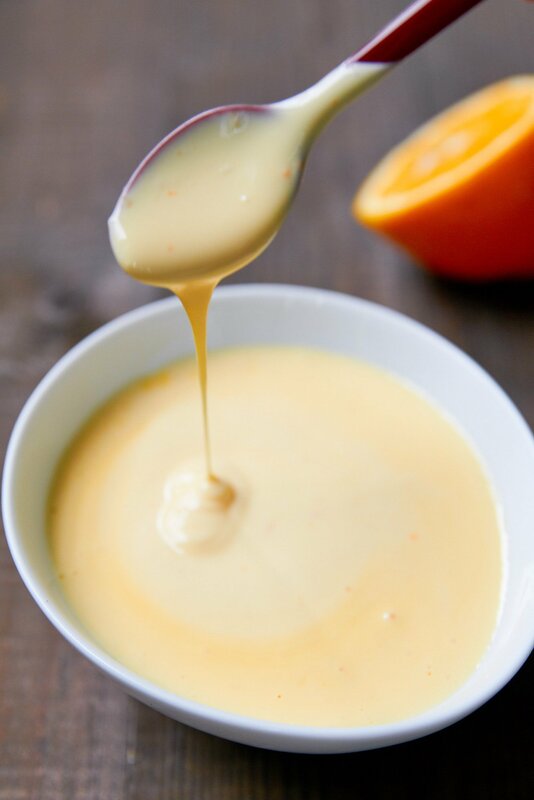 If you stabilized your Hollandaise sauce with xantham gum, you can store it for up to a week in the fridge and reheat it in a double boiler. 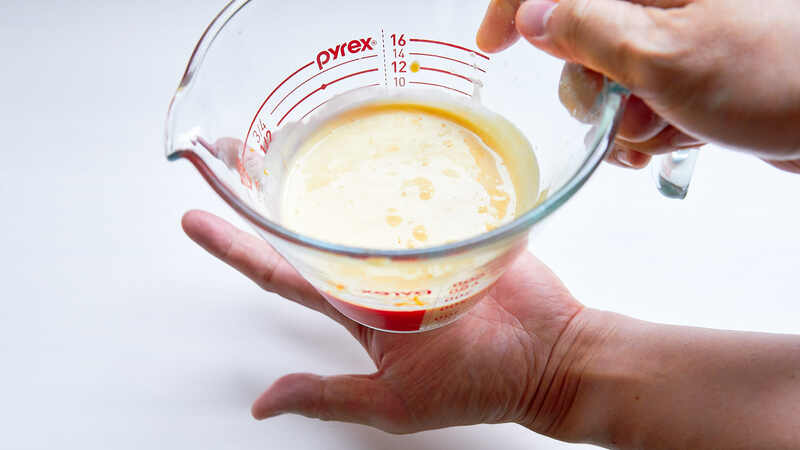 Note: Although you add boiling water to the egg mixture, the mixture will not be fully cooked, which is why I recommend using pasteurized eggs for this recipe.